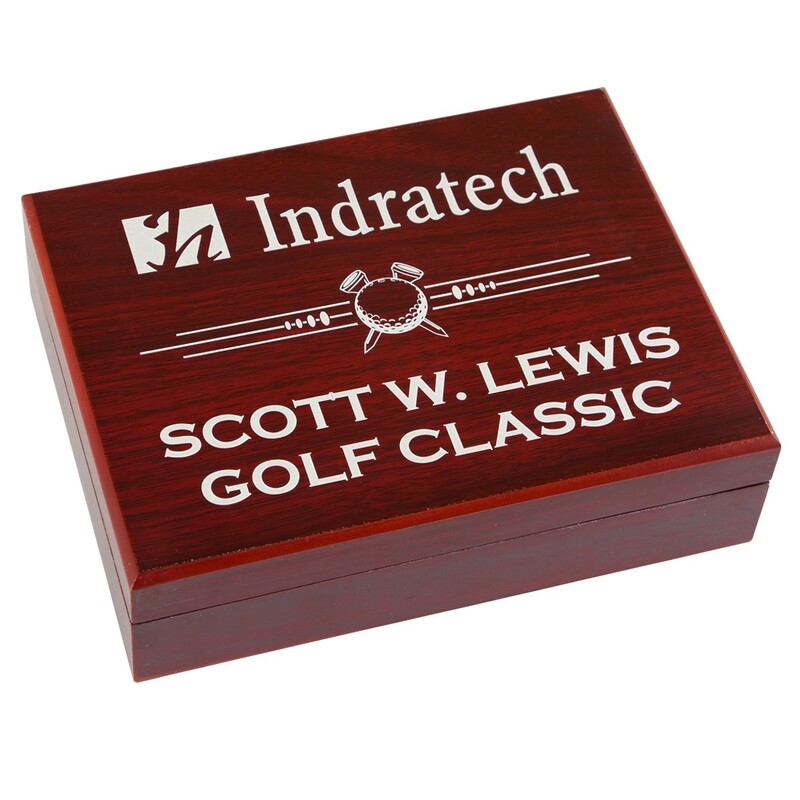 Our Rosewood Golf Ball Box makes a handsome personalized gift for your favorite golfer! 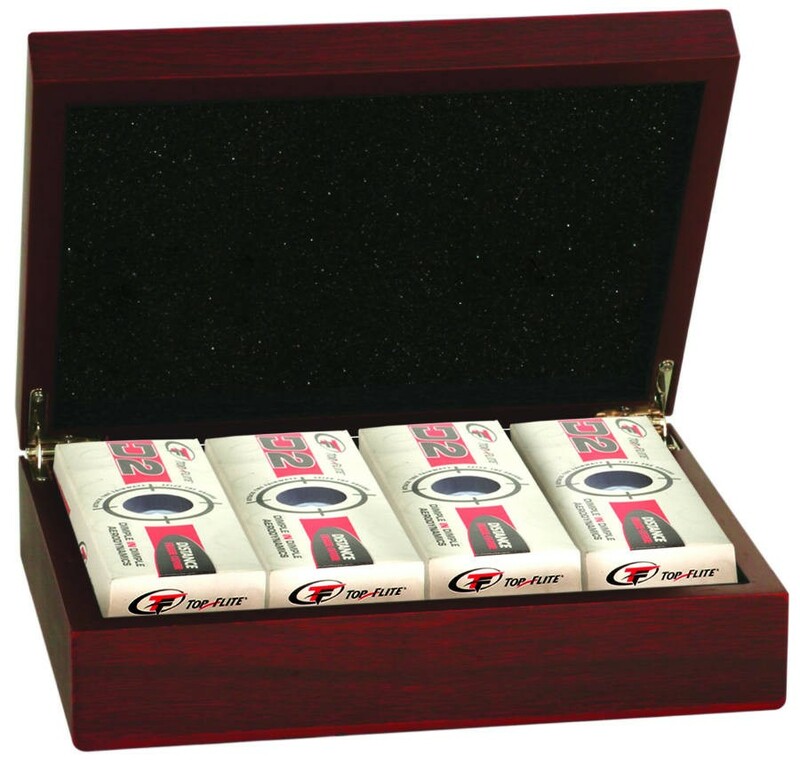 This handsome box features a rich rosewood color with silver hinges, held closed by hidden magnets. Black felt lines the inside of the box, with space to hold one dozen golf balls (golf balls not included). Price includes up to 5 lines of silver engraving on the front of the box. Measures 7 3/4" (L) X 6" (W) X 2 1/4" (H). Production time for this product is 2 business day(s); expected pickup or shipping date is 04-22-2019. Ordering More then 25 Click Here For Large Order Quote!